The Indian Engineers cricket season got off to a thrilling start with a Flicx pitch sponsored by their sponsor and two back to back wins in pre-season friendly matches. Robert Walters, a Global Recruitment company and sponsor of the Indian Engineers for the past five years has agreed to sponsor a Flicx pitch for them. The sponsorship offer came after the Engineers found a few grounds in Ibaraki ken which has easier access and high availability and were looking to make most use of it. Robert Walters decision provides a fillip to the Engineers ambition to have a home ground and goes a long way in helping them play more matches in a year. This is also expected help save a lot of time and money by reducing the travel to Shizuoka and Fuji for weekend matches. Robert Walters is already the sponsor of jersey and kit for the Engineers. In an email letter to the Engineers, David Swan, Managing Director of Robert Walters Japan wished the Engineers success in their quest for the KCL Cup. 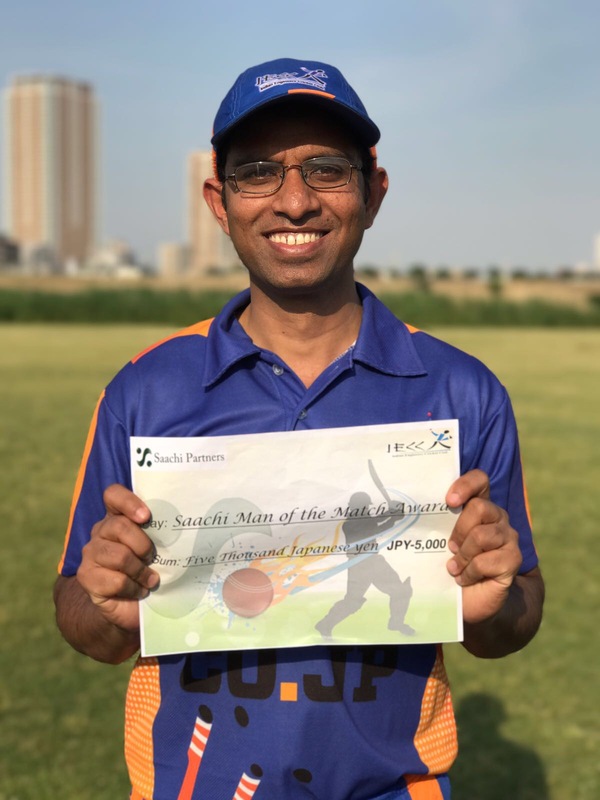 “Robert Walters Japan is proud to sponsor the new Flicx pitch for the Indian Engineers Cricket Club. Supporting the IECC for the last 5 years has been a great experience for Robert Walters. 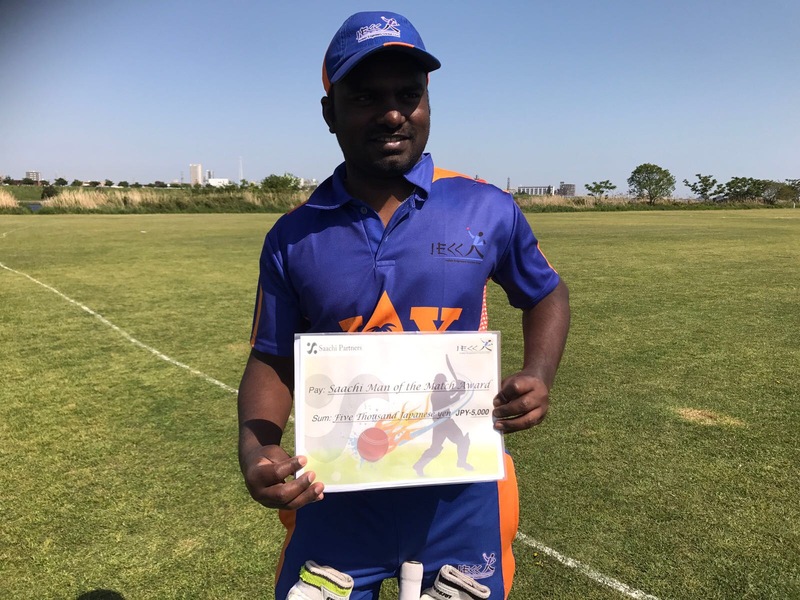 We hope that the availability of the new pitch will help the engineers to play more games in Tokyo and we wish them all the best in their quest for the KCL trophy.”, said Swan. 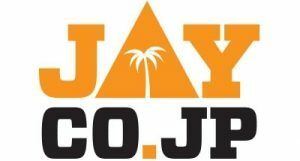 The Japan Cricket Association has achieved a great coup with their recent admittance to the Japan Olympic Committee as of 1 April 2010. The news represents a positive step for the Japan Cricket Association. Japan’s international umpire Neil Harrison conducted an umpiring seminar last month in Tokyo, jointly organised for JCA and KCL clubs with the aim of improving the standard and consistency of umpiring in Japan. The seminar focused on the perennial favourites of preparation, dress, no-ball and LBW and also introduced participants to the Umpire’s Pathway, which offers committed umpires the opportunity to officiate in international tournaments. Finally, there was a free Q&A session to give participants a chance to clear up those “What if”s that sometimes stick in the memory. While it was good to see so many (15) participants, it was notable that all representatives were members of teams in KCL 2010, meaning a bonus league point was on offer. Having said that, kudos to Tigers and Sharks for sending 5 participants each. On a side note, it was disappointing not to see any Japanese faces. 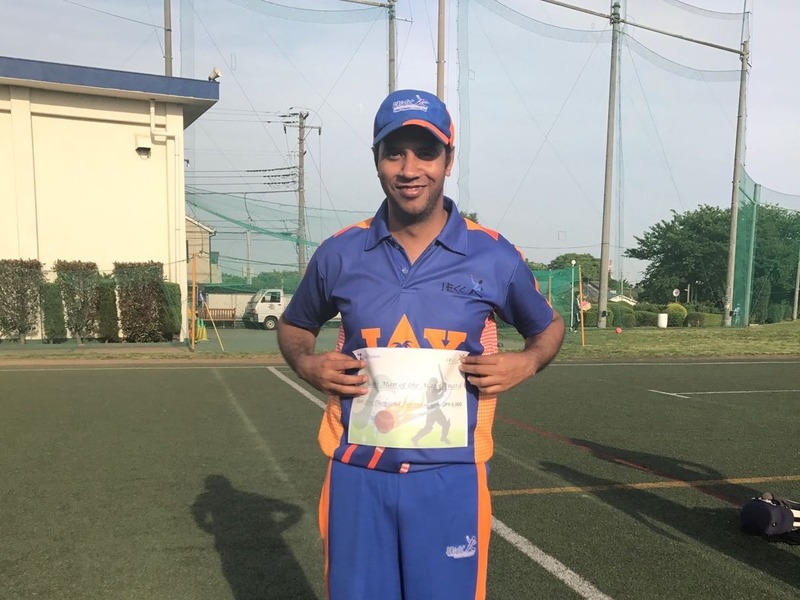 It remains an obstacle to the development of cricket in Japan that almost no Japanese stay involved in the game once they stop playing (not just umpiring, but scoring, groundwork and administration, too). Harrison expressed satisfaction to the high turnout and thanked the Indian Tigers and Chris Thurgate for their help. “Thanks to the participants for their enthusiasm, to both leagues for backing the seminar, to the JCA for paying for the seminar room, to the gents from Tigers for providing the projector and recording the seminar for the Web and to Chris Thurgate for help with organisation.”, said Harrison. Dalai Lama to grace the IPL match to be played in Dharamsala between Kings XI Punjab and Chennai Super Kings to be played on April 18. This will be first IPL game to be hosted by the town. Both The Herald and the Zimbabwe Independent reported that New Zealand’s decision to pull out of their scheduled tour of Zimbabwe was taken without the agreement of ZC – a move that may leave Cricket New Zealand open to ICC sanction. The tour is part of the ICC’s Future Tours Programme, which member countries are required to honour unless security issues can be shown to exist. It seems to be the case that no formal security assessment has been undertaken. Sania Mirza – a 23-year-old tennis player who in 2009 became the first Indian woman to win a grand slam title, when she won the mixed doubles at the Australian Open with Mahesh Bhupathi – has fallen for Shoaib Malik, the bad boy of Pakistani cricket. The wedding will take place in Dubail and the couple will live in the same country. Mirza said she will continue playing for India while Malike will continue to represent Pakistan. Comment: Everything is fair in war and love. Pakistan cricketer Shoaib Malik who is in Hyderabad, India currently to marry the Indian tennis star Sania Mirza, is in a legal soup owing to a past affair with another Hyderabad girl Ayesha Siddiqui. Ayesha claimed Shoaib married her over phone, according to Islamic custom, before dumping her due to her weight problems without a divorce. But Shoaib maintains that the Ayesha who is making these allegations is not the one he committed himself to during an internet affair that grew over telephone conversations. Marylebone Cricket Club (MCC) announced that it would be sponsoring the Test and one-day series between Pakistan and Australia in England in July. This will be the first time MCC, the owners of London Lord’s Cricket Ground where the first of two Tests between Pakistan and Australia is due to start on July 13, has sponsored an international series in its 223-year history. The series comes at a time when Pakistan, who will also be playing a Test and one-day series against England this English season, has become a no-go area for international cricket following a terror attack on the Sri Lanka team bus in Lahore last year. “We often speak about Tests being the pinnacle of the game — now we are acting to back up those words,” MCC’s Australian secretary, Keith Bradshaw, told a news conference. If Pakistan leg-spinner Danish Kaneria, who is under the scanner for match-fixing charges and being quizzed by the Essex Police on the issue, is found guilty of the match-fixing charges and banned this summer, the implications for English cricket would be financially disastrous, The News reported. Relations between the England and Wales Cricket Board (ECB) and the Pakistan Cricket Board (PCB) have been cordial since the forfeited Oval Test of 2006, but speculations are rife over the implications if Kaneria is publicly accused of wrong-doing in England, The News reports. Moreover, it’s the broadcasting deals in which the ECB will lose millions of dollars if the series are cancelled. One of the broadcasting deals for the rights to screen cricket matches played and televised in England (except for ICC events, like last summer’s Twenty20 World Cup) is a four-year deal with ESPN Star worth 80 million dollars. Cricket Australia announced that it will be sending its Australian Indigenous National Team to play a four match Series with two One Day Internationals and two Twenty 20 Internationals in July this year to Papua New Guinea. “The Cricket Australia Australian Indigenous X1 will be an exceptionally strong and experienced XI” said Cricket PNG General Manager Bill Leane. They will be captained by Dan Christian, who recently made his Australian debut in a Twenty 20 International against the West Indies. The seventh EAP Advanced Coaching and Development (AC & D) Seminar will take place in Jakarta Indonesia, the first time that the event has been held in an EAP member country outside of Australia and New Zealand. The seminar brings together individuals from across the region to promote their education in coaching and allows participants to learn from each other, along with leading coaches from the region. Beers for Books, a concept and idea supported by the Indian Engineers, has created 50,000 books for children in the developing world since it started in February 2009. “We quickly made our way to the 50,000 book milestone thanks to a bunch of events over the last month including 640 from a private birthday party for Hong, 400 at the St. Louis launch, 874 from the SF event at Bin38, 165 and 121 in Tokyo at Craftheads and 148Hiroo, 157 in Yakushima at Moss Ocean House, 989 in San Diego at Toronado, 63 from the salsa event in Tokyo at Costa Latina, and 498 in Yokohama at The Full Monty. Great job everyone!”, said its founder, Gary Bremermann. Beers for Books recently celebrated their first anniversary in Tokyo. Do you think the the PCB took the right decision in punishing its players? Do you think the the holding the T-20 World Cup immediately after IPL is a good idea? “He has cheated before, he has cheated in this instance and I’m sure he will again. He is no angel.” – Former Australian umpire Darrell Hair gives a damning verdict on Shahid Afridi over Afridi’s ball-tampering act. India’s Sachin Tendulkar has bagged most man of the match awards in ODIs – 60.